° Now Offering Move In Special on December Rent - Great Rental Opportunity! 1 bedroom, 1 bathroom featuring hardwood floors and new carpet. Stainless steel appliances, spacious living area and has washer and dryer included. Located near SMU and a variety of shops and eateries. ° Additional Info: Pets allowed, unfurnished, W/D connections incl., 1 covered parking space(s), 1 fireplace(s), Dallas ISD. ° Updated 2 story condo in Lower Greenville Avenue area. Ready for move in. Granite Counter Tops in kitchen and baths. Wood flooring in living area. Wood burning fireplace in living and in bedroom. Vaulted Ceiling. Updated light fixtures, ceiling fans, door hardware, tiling and paint. Assigned parking space. Refrigerator, washer and dryer included. 1 small dog allowed with $300 non-refundable pet acceptance fee. Must submit photo of pet with application. No smoking. ° Additional Info: Pets allowed limit 1, unfurnished, W/D connections incl., available 5/10, 0 covered parking space(s), 2 fireplace(s), Dallas ISD. ° Very clean one bedroom updated condo with ALL SS appliances. Located off of Lovers Lane and Skillman, minutes to North Park Mall, Central Market and Downtown. Laminate flooring throughout. Very spacious bedroom with walk-in closet. Refrigerator, Washer and Dryer included. 1 assigned covered parking. ° Second & third level unit completely remodeled, new appliances, granite countertops, new fixtures, with lofted bedroom that has hardwood floors & new carpet, full size washer & dryer, 2 fireplaces, ceiling fans, patio with storage, one reserved parking space. Application fee of $50 to be in certified funds. ° Additional Info: Pets allowed limit 1, unfurnished, available now, 0 covered parking space(s), 2 fireplace(s), Dallas ISD. ° Condo is located in quiet complex overlooking nicely landscaped courtyard. Lots of closet space throughout. Must see! ° 3 story Remodeled Condo located on Martel Ave; between lower Greenville Ave and Matilda in Ashton South Condos. 2 Bedrooms, 1.5 baths, living and dining area, wood burning fireplace. Wood floors in social areas, new carpet in upstairs bedrooms. Granite counters, SS under mount sink. Under condo is reserved covered parking: 1 assigned space + 1 visitor space. Community pool. You pay electric utility - water bill included. Owner pays HOA dues. This is a great area for lifestyle and location. Nearby condos rent for +$2,600. Last tenant lived here 11 years. No pets. No smoking. Lease offered to June 2020. Unit B19 faces east onto Matilda. ° Additional Info: No pets allowed, unfurnished, no W/D connections, available now, 1 covered parking space(s), 1 fireplace(s), Dallas ISD. ° Must See 2 bedrooms with 2 and 1 half baths. Updated kitchen and baths in gated community. This unit has wood flooring throughout with tile floors in the kitchen and baths. Granite counter tops with tile back splash surrounding black glass appliances including electric range and oven, dishwasher, disposal, vented over the range microwave. There is a refrigerator with ice maker. Living room has a fireplace. Upstairs bedrooms have their own baths. Downstairs has a half bath. There is a balcony with a storage closet. Ceiling fans in the bedrooms and living room. Full size washer and dryer come with this unit. Giant closet in master. Located near the rear of the complex near mailboxes, pool and spa. ° LOCATION, LOCATION, LOCATION!!! Just steps away from Central Market and SMU as well as Mockingbird Station and a Dart station, this place makes living life in Dallas a convenience. This 2 bedroom, 2 bathroom updated Birchbrook Condominium has beautiful laminate wood floors throughout, updated kitchen and plantation shutters. New paint in bedrooms and dining room with new chandelier and a new key less entry lock. Pets are allowed on this property with restrictions. Don't miss out on a chance to make this YOUR NEW HOME!! Washer and dryer included. SHORT TERM LEASE AVAILABLE!! ° This condo is in a great location!! Finally got the tenant out and cleaned! Clean and move in ready. Great space. Great location! !Water paid. Two large bedrooms. Easy access to great shopping and dining. Easy access to dart. Use the TAR Lease Application. Email to me. I will send you a link to My Smart Move to apply online. $40 per person. ° LOCATION! LOCATION! 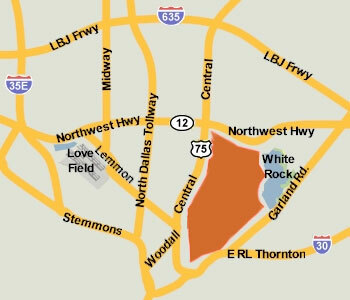 Just steps away from Central Market and SMU as well as Mockingbird Station and a Dart station, this place makes living life in Dallas a convenience. This 2 bedroom, 2 bathroom updated on 1st floor with 2 reserved carports, Open concept floor plan, kitchen has stainless steel appliances refrigerator is included. Updated cabinets in kitchen and bathrooms, granite counter tops in kitchen, New Carpet in both bedrooms. ° Spacious 2 bedrooms, 2 baths, formals plus a den. Laminate wood floors in Living, dining and den. New earth tone colored carpet in the 2 big bedrooms. Beige walls w white trim & ceilings. Tiled floors in the kitchen. Bathrooms with updated cabinets, new tiled walls, faucets, lighting & mirrors. Kitchen; updated appliances; refrigerator with ice maker, dishwasher, disposal, new faucet. Microwave oven and vent. 3 ceiling fans. Giant covered balcony! Pets with owner approval, under 20 lbs. ° Additional Info: Pets allowed limit 1, unfurnished, onsite W/D connections, available 5/11, 2 covered parking space(s), Dallas ISD. ° Move-in Ready in one of the best places to be in Dallas. Walk to Central Market and tons of eateries, bars and much more! Very close to SMU and public transportation. Two bedroom, two bath condo with two living areas! Nice room sizes. Complex has a community pool that is literally steps from your front door! Updated kitchen with granite countertops, stainless steel appliances and it comes with a fridge! Stacked washer and dryer to remain with the unit. Super clean and ready to go. New carpet. Show and lease today! ° Freshly painted and move-in ready! 2 bedrooms, 2 baths, 2 living areas, 2 entrances .... great floor plan. Updated second floor condo with wood burning fireplace in great location. Both bedrooms have walk-in closets . Located in interior of complex, overlooking landscaped courtyard. Gated complex with beautiful community property pool. Includes one covered parking space with an additional covered space optional. Nearby access to the Katy Trail Extension and White Rock Lake. ° UTILITIES INCLUDED! Completely remodeled, large 2 bedroom + STUDY, 2 bathroom condo close to everything - SMU, 75, Greenville, White Rock Lake, downtown. Fantastic location and terrific property. Newer appliances, including refrigerator. Wood floors, granite tops, updated bathrooms, enormous rooms with good storage. Great community pool! Gated parking. ° Located in the M Streets area and across from Glencoe Park. This 2 bed, 1.5 bath 2 story townhouse includes stove, fridge, dishwasher, gated entry, fenced patio and community pool. Also includes full sized washer & dryer connections, skylight, wood burning fire place and ceiling fans. Black appliances, granite counter tops and a built-in microwave. ° Additional Info: Pets allowed, unfurnished, W/D connections incl., available 5/29, 1 covered parking space(s), 1 fireplace(s), Dallas ISD. ° Remodeled Condo in great location, totally redone kitchen with new granite counter tops, cabinets, tile back splash. Completely redone bathroom with new tile, vantiy and shower. Den and Dining Room totally redone as well. New floors throughout. Spacious home with a lot of closet space throughout the condo. Covered back patio for your own private outdoor living area. Right next to Central Market and Tom Thumb. Walk to Lovers Lane Dart Station. Starbucks is a short walk for you morning cup of Java. A couple blocks away from the Katy Trail Extension that connects with Mockingbird Station and White Rock Lake. Move in Ready! ° Additional Info: No pets allowed, unfurnished, onsite W/D connections, 2 covered parking space(s), Dallas ISD. ° Cozy, charming, private, updated ground level flat! Wood floors thru-out, and completely repainted. Best floor plan in complex offers split bedrooms. Great for roommates! Fenced patio off guest BR, LR and kitchen. Attached carport! Full size washer-dryer in unit. Complex is next to Park, near Mockingbird Station, Katy Trail, SMU, and minutes to downtown. Pet friendly complex. Glenco Park across the street. ° Wonderful, open and updated ground floor condo with hardwood floors, open kitchen and living area. Two spacious bedrooms with large, updated bathrooms. Two reserved parking spaces (one covered), access to community pool. Convenient to Central Market, SMU and much more. Fridge, washer & dryer. Rent includes water. ° Resort Living in the Heart of Dallas!! Sophisticated 2BR,2BA, 1st Floor Unit with Private Patio. Open Floor Plan,beautiful wood floors,recessed lighting,fireplace,granite counters,SS appliances. Gorgeous Bathrooms,walk-in closets. Stunning resort pool&outdoor living.Gated community, two assigned parking spaces. Location,Location,close to SMU,dining,shopping,Central Market,and more!Owner Pays HOA dues. MOVE-IN-READY!! NO PETS. ° Located in the heart of the M-Streets, enjoy being steps away from historic Greenville Avenue, The Granada Theater & plenty of shops & restaurants. This two story townhome boasts clean lines with exceptional high quality finishes and an open floor plan perfect for entertaining. Enjoy added security with gated entrance and private garage entry. ° Beautiful condo with incredible downtown views located adjacent to the Highland Hotel. Open floor plan with large kitchen, breakfast bar, furnished stainless frig, granite counters, stainless appliances, furnished washer and dryer in separate laundry room. Nice walk in pantry. Recessed lighting throughout with electric shades, hardwoods, carpet in bedroom areas and great closet space. Separate study perfect for a home office or TV room. Large master suite includes dual master closets and sitting area. Secured building with concierge, valet parking, meeting area, two garage spaces, beautiful lobby and pool. ° Lovely, updated, 3 bedroom, 2 bathroom, end unit, ground floor condo close to SMU, Mockingbird Station & Lower Greenville Blvd. Hardwood floors, crown molding, large living and dining area and 3 separate entrances make this a great layout for roommates. All 3 bedrooms are good size. Fresh paint and carpet. Unit backs up to a peaceful courtyard and there is a community pool! Water, trash and sewer are included in this rent price. ° Additional Info: No pets allowed, unfurnished, W/D connections incl., available 6/3, 1 covered parking space(s), Dallas ISD. ° Fabulous one-story 3 bedroom, 2 bathroom condo in charming Mediterranean building in M Streets, near downtown, uptown and SMU. Enjoy beautiful curb appeal, impressive lobby & updated modern interior with gorgeous hardwoods, granite and SS kitchen, tall ceilings, neutral color palette & spacious open floor plan. Very clean and lightly lived-in, this condo is a 'must see'. Also enjoy split bedrooms, for privacy, each with en-suite bath. Move in, relax and enjoy! Throw open the double doors to enjoy your balcony, walk to lower Greenville shops & restaurants or invite friends for Happy Hour on the spacious rooftop patio.